Besides the fact that the people from GlobeGround tried to break my suitcase and made it unusable for me, the trip was fine. 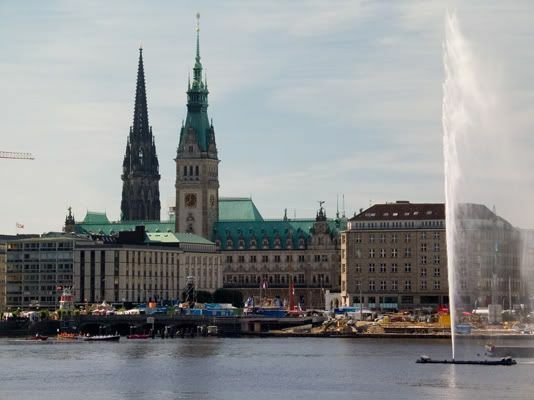 Hamburg is a great city and definately worth a visit by lovers of good food, watches and great cities. I didn’t have much time to visit the cities finest locations, but I had a quick look at some shops in the Neuer Wall and Jungfernstieg. Wempe was closed when I walked by, but I had a peek in the window and it looked all fantastic. Their collection of watches is very fine and probably cover all different tastes from watchlovers. On the other side of the street, you’ll find the Omega Boutique. Their window was just as impressive, but too bad they were already closed. Another jeweler that was probably worth visitting is Rene Kern. Also located on the Jungfernstieg. Anyway, chances are big I have to return in December and definately will try to visit some watchshops then. 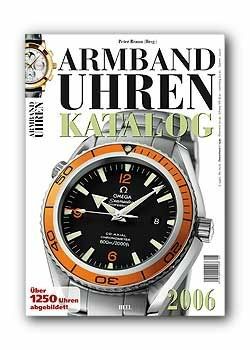 Anyway, at least I got the 2006 (annual) catalog of Armband Uhren, so I could entertain myself in the hotel a bit 🙂 Try to get your own copy, soon available (for pick-up) at Horloge Platform Nederland.